A power of attorney is a legal document drawn up by one person, the principal, that gives another person, the agent, the authority to make decisions in the principal's stead. The type of decisions the agent may make are specified in the document and generally involve either financial or medical care issues. A regular power of attorney expires if the principal is incapacitated; a durable power of attorney continues in full force even the principal in incapacitated. Therefore, durable powers of attorney may be subject to abuse. An agent operating under a durable general financial power of attorney has virtually unlimited authority over the incompetent principal's affairs. He may do almost any act the principal might have done for himself had he been competent, including collect revenues, pay bills, buy and sell real estate and make gifts. And, the agent generally operates without oversight. The American Bar Association notes that a durable financial power of attorney is often termed a license to steal. Even agents who are family members can abuse the trust they have been granted. Lori A. Stiegel of the American Bar Association Commission on Law and Aging cites in a fact sheet published on the National Center on Elder Abuse website the example of a daughter who was given a durable financial power of attorney by her mother. When her mother became incompetent, the daughter sold her house and used the money to finance her own luxurious lifestyle. An agent holding a durable power of attorney for medical care makes critical health care decisions for an incompetent principal. She has authority to select the doctors who will treat the principal and to accept or refuse different treatments on the principal's behalf. She also chooses care facilities for the principal and makes end-of-life decisions. While a health-care agent has less incentive to abuse her authority than a financial agent, the two agencies may be given to one individual, as in the case of the only child of an aging parent. 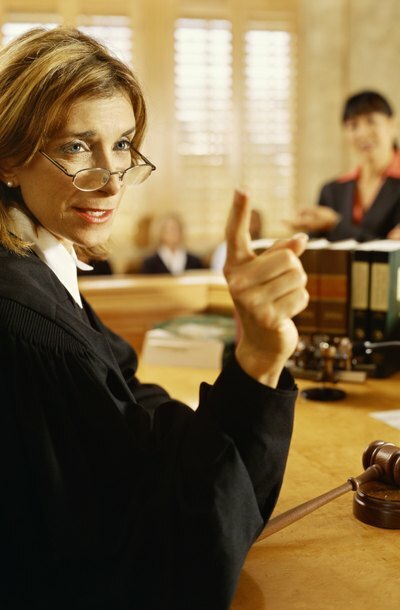 If a principal is competent, she can revoke a durable power of attorney by creating a revocation document. An incompetent principal does not have that option and family and friends must act to protect her. Bringing a civil action seeking court review of an agent's actions can be expensive and messy, yet court review is the only manner to stop an abusive agent. If a court determines that the agent is abusing his authority or violating his fiduciary duties, the court can revoke the durable power of attorney and appoint a guardian or conservator. Procedures to obtain court review vary among states. For elderly individuals, a financial power of attorney (POA) can be an important tool for managing property and making sure that bills are paid. Financial POA's allow a person, referred to as the principal, to delegate financial decision-making authority to another, known as the agent. Because the agent often has access to bank accounts, the potential for abuse of the principal's funds can be an issue. However, certain remedies are available to individuals affected by the wrongful acts of an agent.